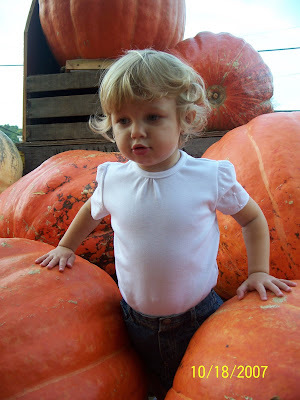 Yesterday Nick met us at the pumpkin farm on his way home from work. We still enjoy going on a weekday evening when they're not so busy... rather than a packed weekend. 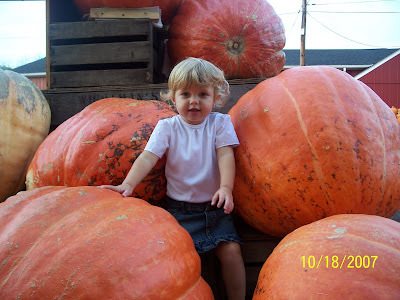 We're still missing out on the farm activities like hay rides and corn mazes, but Zoe doesn't know the difference yet... and we prefer a less hectic atmosphere. 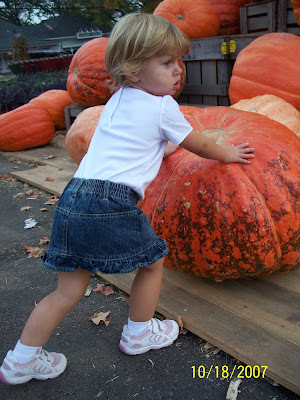 Zoe really enjoyed running around looking at pumpkins. 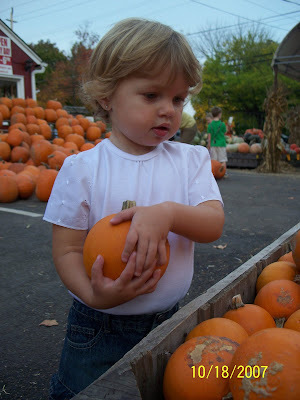 She especially loves all of the "tiny pumpkins". She wasn't too cooperative when it came to letting me get the perfect pumpkin picture I was dreaming of though. But, I still found enough to share!!! "Oh! Is too big!" 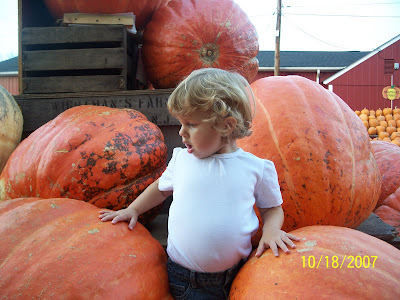 "Tiny punkin"
"Oh no! Stuck a punkin!"